Yoder & Frey, part of Euro Auctions Group, conducted back-to-back auctions in Ohio March 14 and 15. 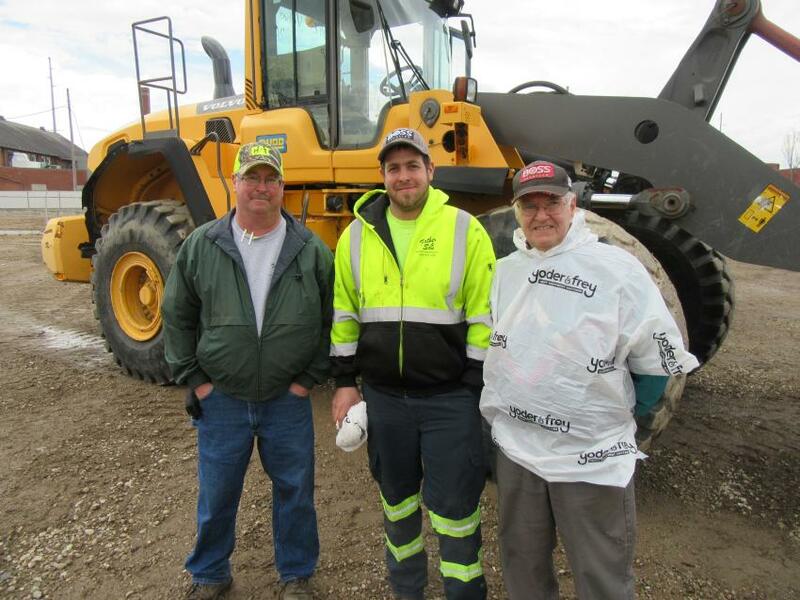 The first auction was held at Yoder & Frey's popular Ashland, Ohio, location, where a large variety of paving equipment, skid steers, used and unused excavators, and other equipment went to the highest bidders. The auction drew a sizable crowd of onsite bidders while attracting heavy online bidding as well. 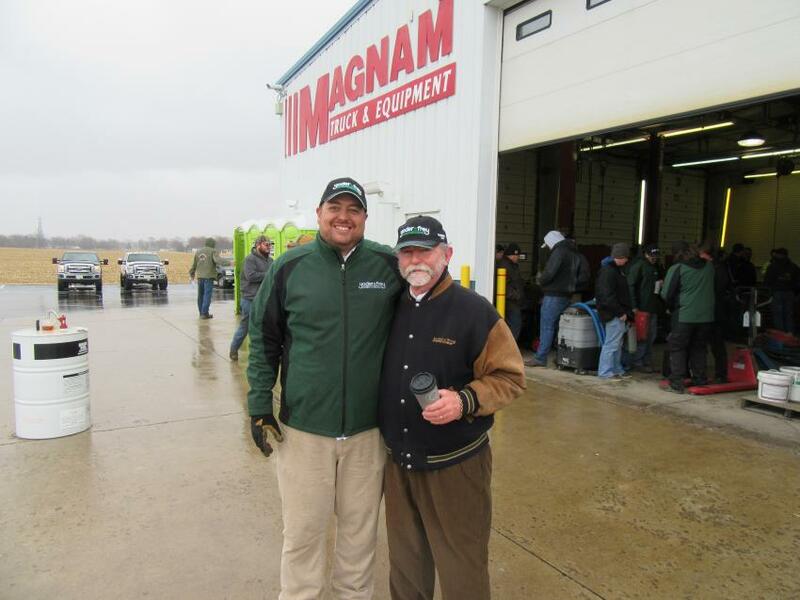 Yoder & Frey then headed to Lima, Ohio, to conduct a massive "retirement sale" for Magnam Truck & Equipment. The one-day sale, which included all the remaining equipment, trucks, shop machinery fittings and accessories belonging to Magnam, drew massive crowds looking to acquire the 600 lots being sold, all without reserve. The auction website during the lead-up to the sale received thousands of hits a day, resulting in nearly 2,000 bidders registering for the sale, including more than 500 new or first-time bidders and more than 700 opting to attend the event and soak up the atmosphere. "Interest in this sale for the remaining stock from the Magnum dealership was phenomenal," said Peter Clark, president of Yoder & Frey. "We drew a great crowd on the day, and online bidding, which accounted for almost $600,000 of the total, is now a regular feature of each event and continues to grow in popularity. 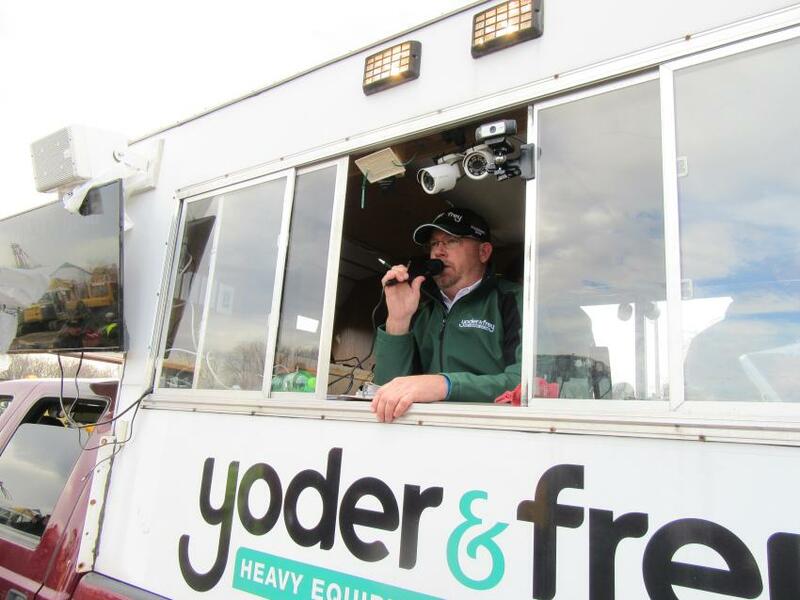 "More importantly, the owners of the business, who had selected Yoder & Frey to coordinate the sale, were absolutely delighted with what the final hammer achieved. There were a number of ‘big-ticket' items consigned to the sale, including several excavators, tractors and other large machines, but there were also many small items including tool boxes, tires and other ancillary items, so with an average price of $3,309 per lot sold on the day, the sale was a real winner for all involved." 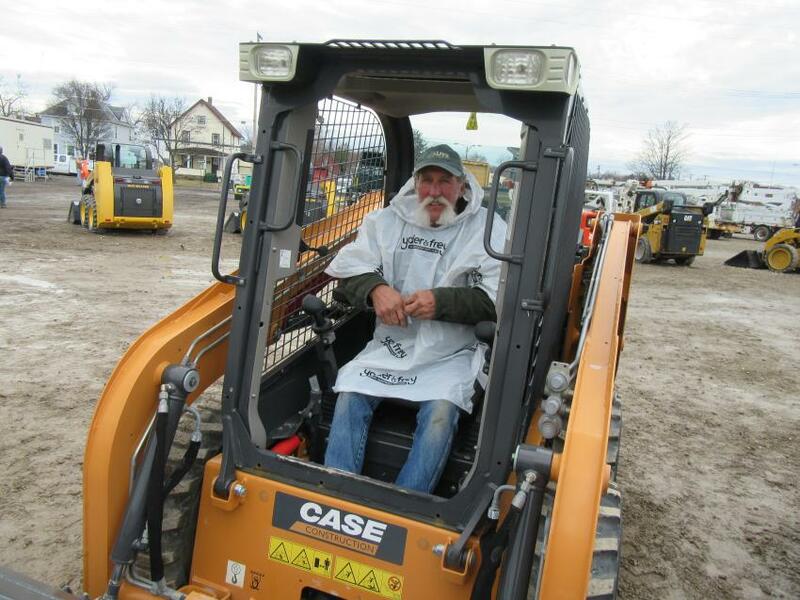 Along with a selection of cars, pickups and vocational trucks, the auction also featured a good amount of construction equipment along with shop equipment and tools. A strong contingent of onsite bidders turned up for the sale, which also drew active online bidding. On March 26, Tranzon.com coordinated disposal of all buildings and real estate from the Magnam dealership, again without reserve. This included a 13,000-sq.-ft industrial facility on 12.63 acres; two similarly sized multiuse commercial facilities; and a 5,600-sq.-ft. self-storage unit, plus 7.39 acres of prime commercial and development land and a further 160 acres of prime agricultural and development land to go in several parcels. Upcoming Yoder & Frey sales include the Kissimmee, Fla., sale May 23 and the Ashland, Ohio, sale May 30. 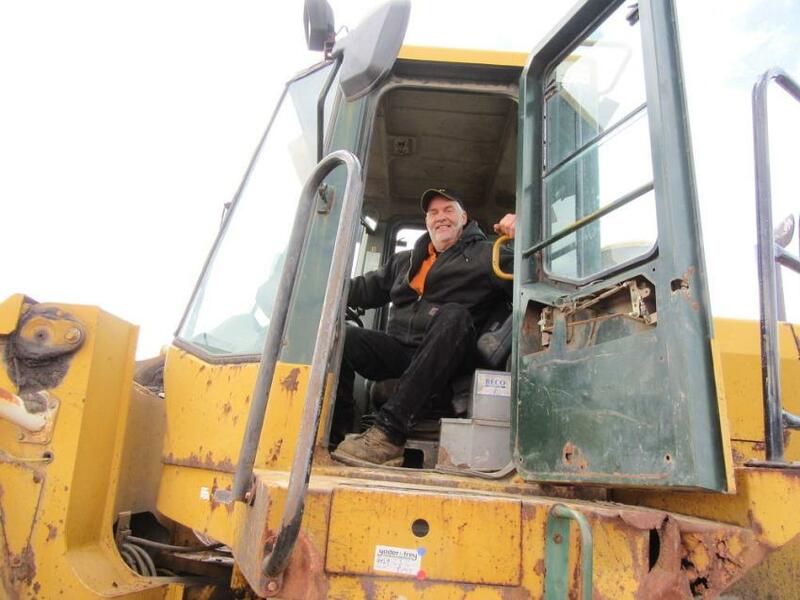 Mike Laribee of Laribee Equipment found this Kawasaki wheel loader provided a good spot from which to take in the Ashland auction. Yoder & Frey’s Daryl Houle (L) and Peter Clark were pleased with the turnout at the Lima auction March 15. 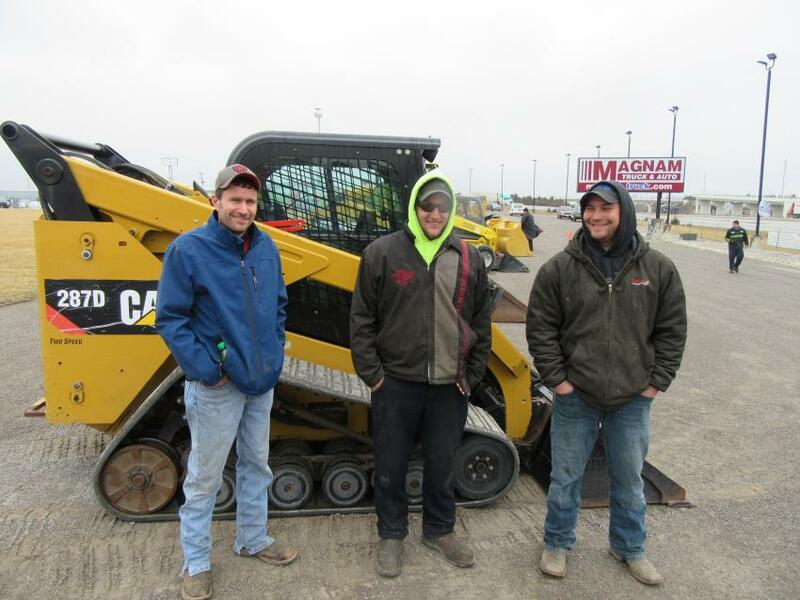 (L-R): Brian Will of Will Farms joined friends Joe Gable of Grow 2 Show It and Kyle Arn of Arn’s Acres to inspect a Cat 287D compact track loader and other equipment at the Lima auction. Nick Burgur of Burgur Farms puts this Kubota RX-303S mini-excavator through its paces at Yoder & Frey’s Ashland auction March 14. Auctioneer Ron Kreis kept the bidding moving along at the Ashland auction. (L-R): Bill, Austin and John Woronka of Father & Son Property Maintenance, representing three generations of the Woronka family, attended the Ashland auction in search of equipment bargains. 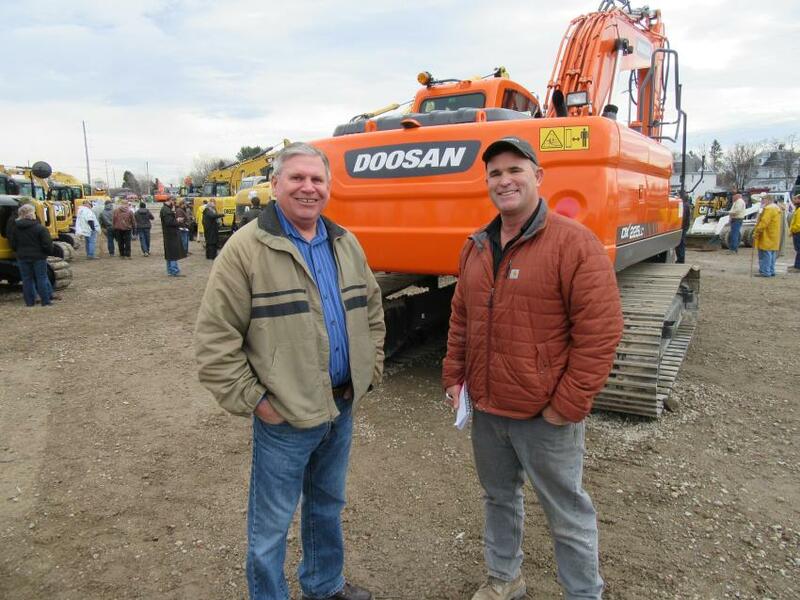 Gibson Machinery’s Chuck Ruggles (L) caught up with Mark Haynes of Mark Haynes Construction at the Ashland auction. 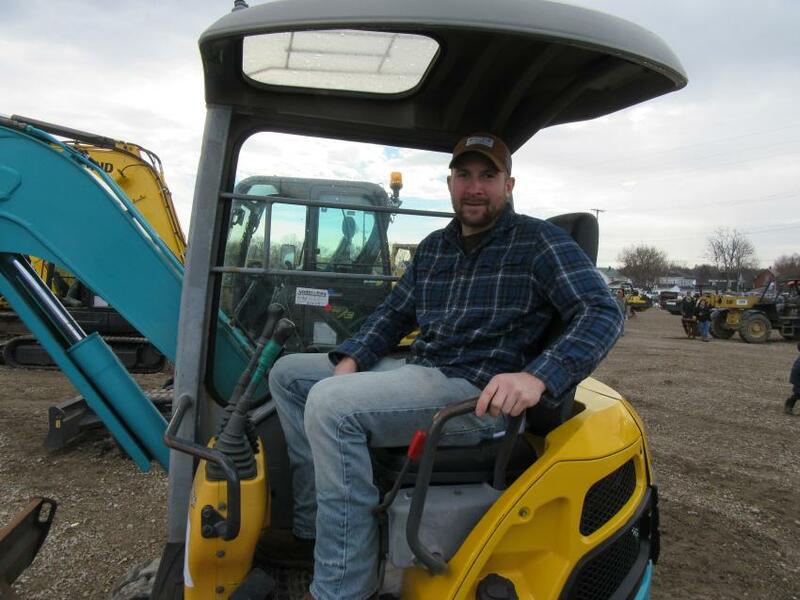 Duane Lutz of Lutz Custom Homes was pleased to have placed the winning bid on a Case SR130 wheeled skid steer at the Ashland auction for his son, Ryan Lutz of Committed Builders. 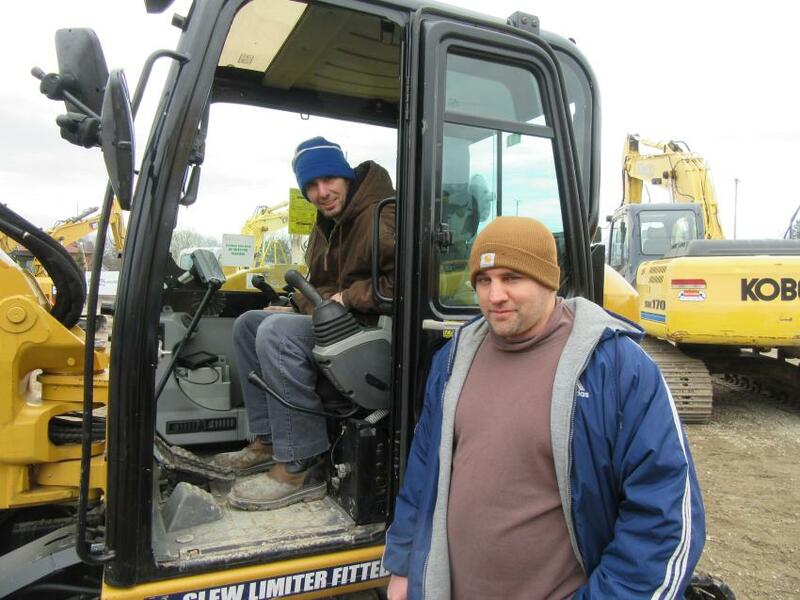 Jason (L) and Ryan Bumb of Bumb Brothers Farms were pleased to become the new owners of a Cat 308E 2 excavator at the Ashland auction. 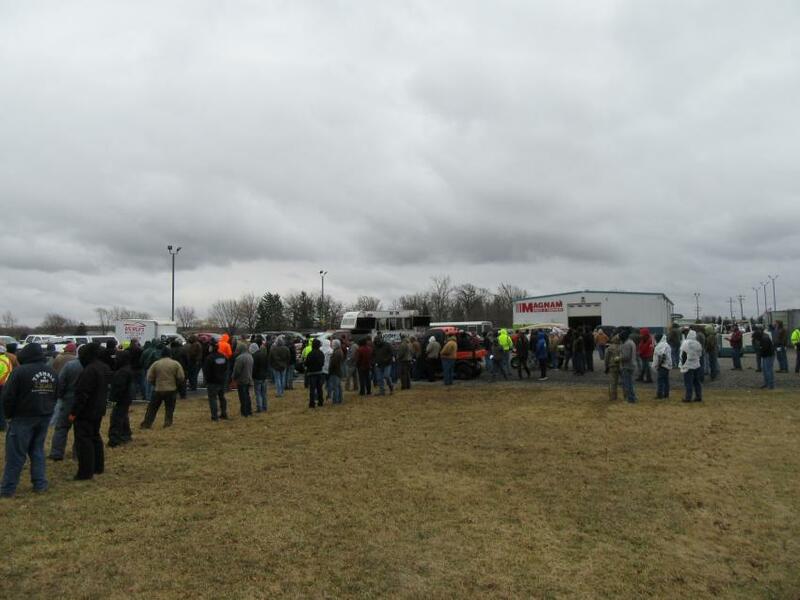 A huge crowd of auction attendees showed up in Lima, Ohio, for Yoder & Frey’s Magnam Truck & Equipment auction. 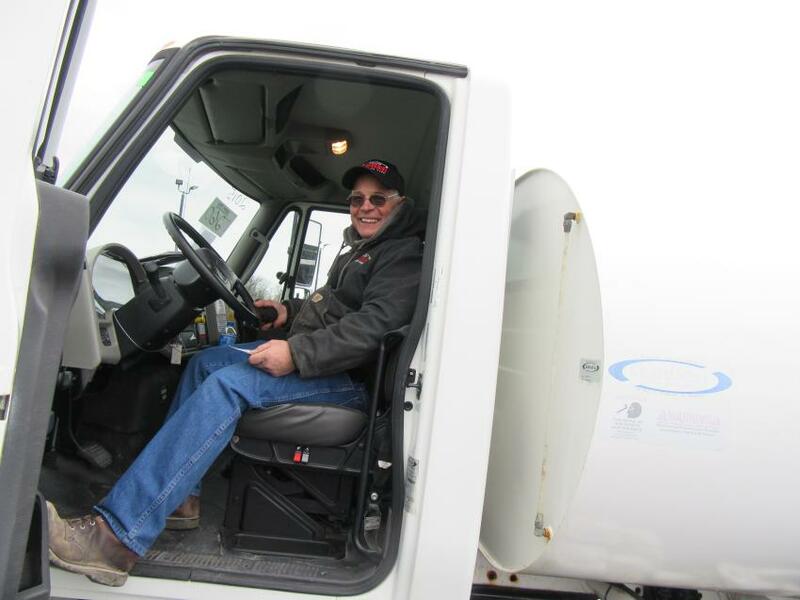 Ray Clouse of Clouse Construction considers a bid on this water truck at the Lima auction.